Nintendo delivered two surprises back in August: one, that it planned to release a new iteration of the market leading Nintendo 3DS handheld by the end of the year, and two, that it would release in Australia before Europe and North America. The first is surprising because no one expected it. 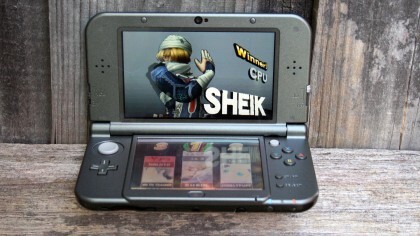 A 3DS with a more powerful CPU and better 3D support isn&apos;t something the masses have been baying for. 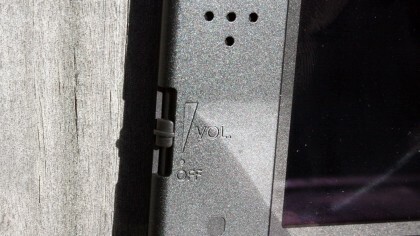 The second is surprising because traditionally, Australia is usually among the last major regions to receive hardware releases. 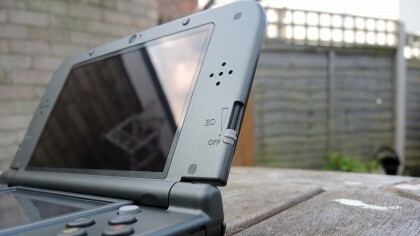 Releasing a new 3DS is a typically opaque business decision for Nintendo: the 3DS, 3DS XL and 2DS models all have a substantial user base and all operate the same software. The New Nintendo 3DS line up seems to commit the same messaging error as the Wii U: casual customers may be confused by the subtle rebrand, or not realise it's a new product at all. While previous 3DS iterations have served only to expand Nintendo's audience, this one threatens to divide and confuse it. Additionally, the New Nintendo 3DS range exhibits no substantial leap over its predecessors – none that can be discerned with the naked eye, at least. Whether Nintendo's audience is prepared to pay for a system which seems to offer as much evolution as a smartphone generation is yet to be seen. 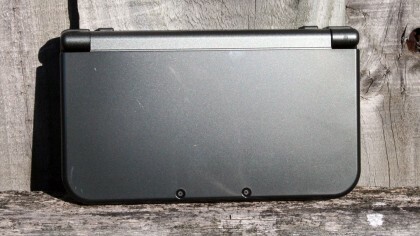 Cosmetically the New Nintendo 3DS XL does not alter the series' core design. The laptop-aping dual screen setup is intact, though the screens are marginally larger than those on the vanilla 3DS XL. The biggest change is the addition of a second analog stick on the right hand side of the console: a small nub absent on earlier devices unless you owned the CirclePad Pro peripheral. 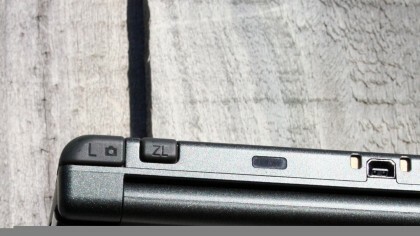 Arguably the most useful change to the New Nintendo 3DS XL is the new analog stick, or nub. 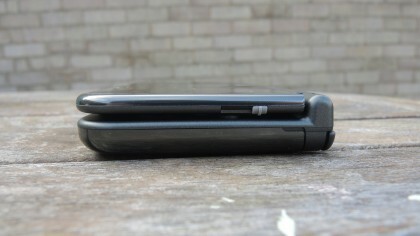 Rather than a smaller replica of the left hand nub, it's a tight, unmoving rubber protrusion just above the X button. 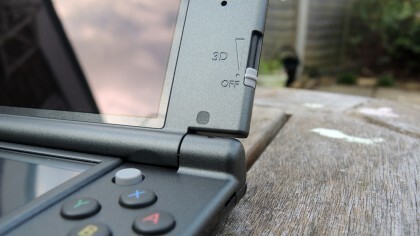 While its inclusion is an advantage, it really ought to have been included in the original 3DS models, so its appearance here feels like a much needed fix rather than a fancy new feature. Even then, it's not particularly user-friendly. Those with big thumbs will find themselves grazing the top half of the unit with the tip of their finger, while the nub's general lack of give can prove uncomfortable. By contrast, the two new bumper buttons, previously exclusive to the CirclePad Pro peripheral, are comfortably situated on the inside of the standard bumper buttons. 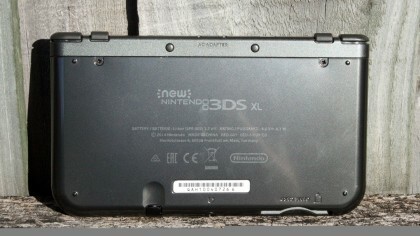 Meanwhile, the faster CPU is currently lacking software that can demonstrate any noticeable benefits: the New 3DS XL is backwards compatible of course, but at the time of publishing there is no software exclusive to it, compounding the general feeling that the product as a whole is a bit unnecessary at this point in the 3DS's life cycle. New Pokemon games, in addition to the forthcoming Xenoblade Chronicles, will work exclusively with the new 3DS and 3DS XL, but they won't arrive until 2015. As for the 3D itself, well, it is noticeably more… three-dimensional than its predecessors, which is fantastic if you actually use it. In 2014, 3D is no longer the drawcard it was back in 2011, but there's little doubting Nintendo has improved the feature. It's no longer as nauseating with extended play, and Super Smash Bros. looks especially radiant. But Nintendo has a habit of not including at least one standard feature in its products (see previously: second circle pad) and the New 3DS XL is no exception: it doesn't come with a charger. While those upgrading from previous models can use their existing charger, parents buying their children a New 3DS XL this christmas should be made aware of this omission lest Christmas goes sour by 10am. Storage wise, the device comes with 1GB internal flash storage but also accepts MicroSD cards. While the upgrade is to be expected, it does mean you won't be able to use your standard SD cards from previous 3DS models. The New Nintendo 3DS XL (2014) also supports NFC compatibility with the company's new Amiibo figurines, though we have so far been unable to test these. The console itself can be personalised with snap on covers, if making things look prettier is your thing. We tested three games with the New Nintendo 3DS XL (2014): Super Smash Bros., Mario Golf: World Tour and Zelda: A Link Between Worlds. As we expected, no performance issues were encountered, indicating that older software runs on the newer hardware with no discernable issues. In 3D mode, the 3DS XL is best viewed with at least 30 centimetres between the user's eyes and the screen: any closer and the image blurs. As with previous models, it's necessary to view the screen from a frontal position, as any angle on the view will affect the 3D output. Given that it's a handheld, this should not present any problems. One fancy addition is the camera facial tracking, which reduces some of the problems associated with image blur when viewing the screen from different angles. Battery-wise, expect up to four hours of continuous play on this model, with the 3D and brightness turned to its fullest settings. Expect double that if you choose to play without 3D and with no online play. We left the 3DS XL (2014) on continuously for several days in standby mode and noticed only an incremental decrease in battery life, which is welcome news for anyone who wants to pick up the console and be playing games within seconds. Navigating the 3DS XL's clunky interface is no more enjoyable than it has been in the past, with the included stylus making the finicky touch interface a little more bearable. It's not horrible - and compared with the PS Vita's front end it's quite nice – but iOS this ain't. Navigating to the Nintendo eShop and then finding specific software can be a chore. Browsing is by certain predetermined categories ('new releases', 'special offers' etc), and it would have been nice to have a simple alphabetised list of all software. While it doesn't come close to matching the usability of an iPad Air 2, using the 3DS XL (2014) as a web browser is a more user-friendly, quick and manageable affair than on previous iterations, though you'll only use it if another device is out of reach and you want to consult an online game guide. YouTube operates beautifully, with videos playing at full screen on the top screen, while options and the scrub bar is accessible on the bottom screen. Nintendo's 3D handheld has overcome many of its early hurdles, but with this update it seemingly hasn't addressed all of the issues we had with the console when it launched three years ago. Still, it's far from a bad device, and is still a more enjoyable commuting partner than the hungover drunkard you inevitably end up sitting next to on the bus. The New Nintendo 3DS XL (2014) certainly feels like a higher market product than any of its predecessors, and the 3D is much improved. The battery life is generous and the ability to leave the console on standby for extended periods of time is helpful for those who like short but meaningful gameplay sessions. The 3DS XL is the best handheld on the market, so for those arriving for the first time to Nintendo's stable, this is a go-to purchase. 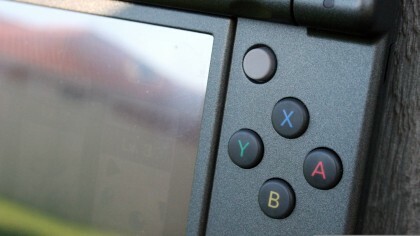 The right hand control nub isn't perfect, and nor is the 3DS's user interface. The latter still feels primitive during an era where user experience has turned into its own fine art, but it's nothing a small child can't operate so consider the complaint minor. 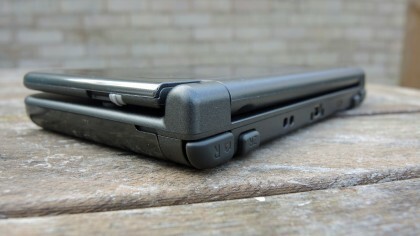 The lack of hefty internal storage in the 3DS XL (2014) disappoints. Having to purchase a Micro SD to purchase games digitally seems absolutely backwards in 2014, though it's not like Sony's Vita offers any better alternative. If you don't already own a 3DS this new version is a no brainer. It's sleeker, the 3D is improved and it will operate forthcoming software its predecessors cannot. The 3DS really is the best handheld console on the market, and its software line-up features some of the best first-party Nintendo titles ever. 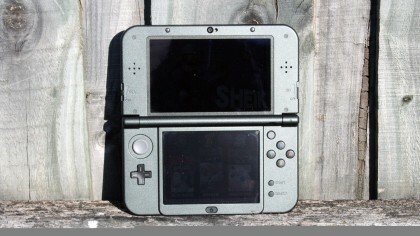 At this price point the 3DS remains as strong a product as ever, after an initially shaky start. If you do own a 3DS then there's no reason to update immediately. Anything can happen between now and when Nintendo finally releases software which requires the new CPU power - for instance, a price drop. That seems unlikely, but even so there's no reason to pack your old unit away when all current software will still operate on it. Overall, it's a curious decision for Nintendo to release such a minorly iterative console, but all things considered, it's cheaper than what many people pay to update their smartphone every two years. If you're a Nintendo diehard you'll want one even if your current unit is in mint condition.